Location: at the family home in Kijiko village, Muruaki scheme, Kinangop, Nyandarua County. It is with humble acceptance of God’s will that we announce the passing on of Margaret Wanjiku Mwaura which occurred at Meridian Equator on 19th April 2018. Beloved wife of Stephen Mwaura. Mother of Monicah Wanjiru, Charles Muya and Grace Nyawira. 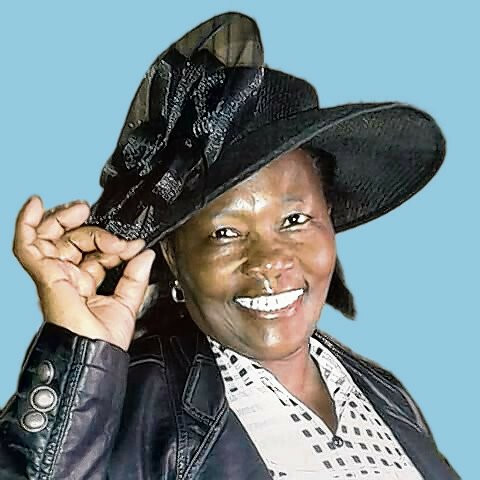 Grandmother of Valerie Kanini. Daughter of the late Amos Gichuhi and the late Grace Nyawira. Daughter-in-law of the late Ephantus Muya and the late Monicah Wanjiku. Sister of Papius Gitonga, Reuben Githendu, Julia Wairimu, the late William Wambugu, Stephen Ndiritu, James Kimeria, Martha Wangechi and Hannah Wanjiru. Family and friends are meeting daily at Tumaini house, 5th floor room 5J and at their home in Kijiko, Muruaki scheme for funeral arrangements. The cortege will leave Uplands Funeral Home at 7:30 am on 27th April 2018. Burial at the family home in Kijiko village, Muruaki scheme, Kinangop, Nyandarua County. "In God’s hands you rest, in our hearts you live forever"